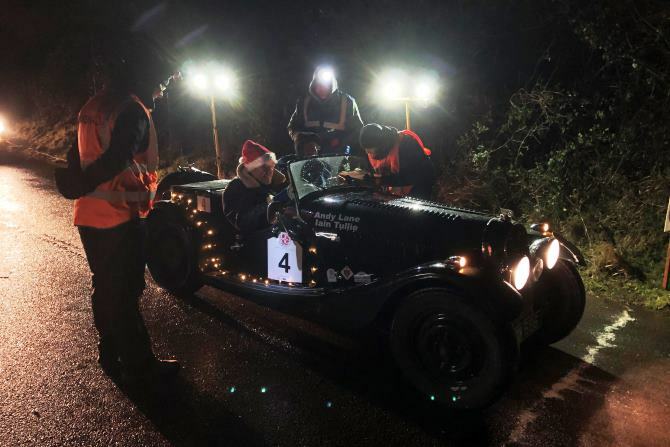 In the months of November and December, Forresters Car Club were asked by HERO (Historic Endurance Rallying Organisation) to look after the Caerwent parts of their two long distance events. 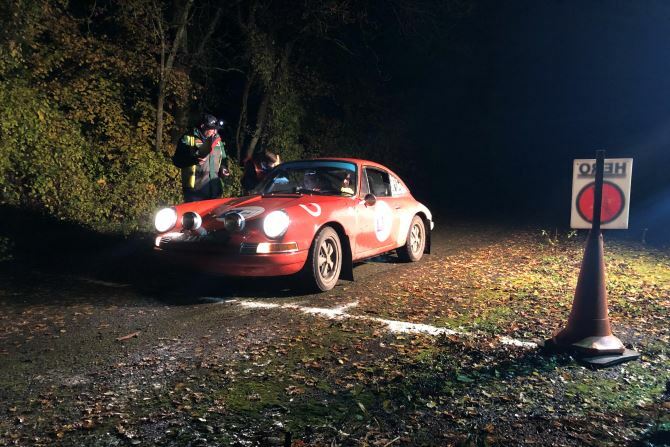 Firstly we had the RAC Rally of the Tests in the beginning of November, followed by the LEJOG on the 2nd weekend of December. Interestingly both events were to tackle this tough venue in the dark. First up on Saturday 10th November was the RAC Rally of the Tests running from Harrogate to Bristol- over 75o miles over 4 days. Caerwent made up 1/3 of day three’s competitive results so we had a fair task. A small “army” of people helped with the setup of the venue, then we had around 65 volunteers signed on to marshal. There were 83 cars that had the fun of tackling Caerwent in the dark, and all got out eventually. Next up was the LEJOG which sees the cars travel a 1,500 mile route from Lands End to John O’Groats again over 4 days. With 3 big tests in Caerwent, it actually made up a quarter of the whole events ‘tests’ mileage. Again another small “army” from the club helped in the setup of the venue. We had over 50 marshals signed on to help run the venue as smoothly as possible. 64 cars had looked to take on the challenge of the MOD venue, and only 1 gave up completely, but many still got lost inside – we think they’re all out by now! The oldest car on both events was from 1936, but LEJOG did have a further 3 more pre-WW2 cars. We doff our hats to them and all the crews involved. Thank you to all the volunteers who helped us run the Caerwent leg safely:- we hope you all enjoyed the BBQ we put on for the marshals at signing on. Start of the Caerwent test from the RAC Rally of the Tests. Start of the Caerwent tests from the LEJOG.